Nokia 3310 was relaunched at MWC 2017 as the moniker was in high demand once and claimed highest ever sales for a Nokia device. 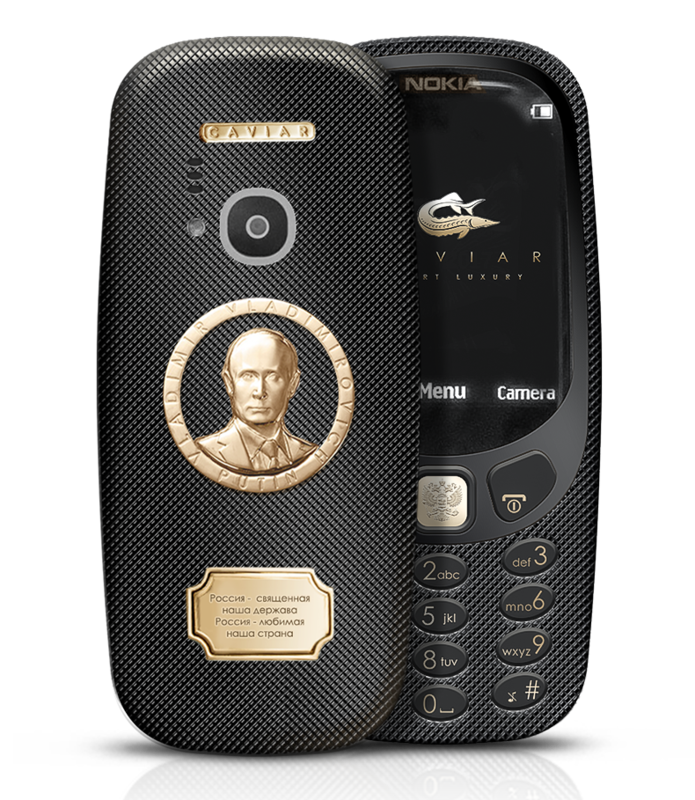 The comeback was a welcome move and soon after the same, Caviar brought a luxury version of the 3310 to Russia. It has been named Supremo Putin and would be manufactured in limited numbers. As the name goes, it is purely inspired from Russian president Vladimir Putin. 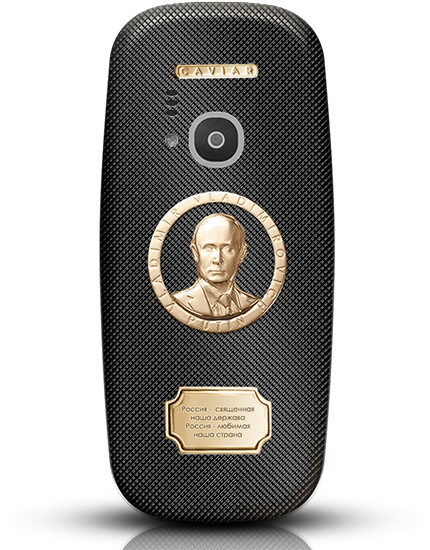 This typical Nokia 3310 comes with gold plated portrait of the Russian president on its back. The golden seal from Russian national anthem is also visible on the same. The front buttons are gold plated and comes with the image of Russian coat of arms on the center button. The phone comes with wooden case that’s lined with Black velvet. Nokia 3310 Supremo Putin is even sold with a custom designed user interface. Nokia 3310 comes with 2.4 inch polarized QVGA display. It comes with 16MB internal memory and supports 32GB memory expansion through microSD card and comes with a 2 MP rear camera with LED flash. 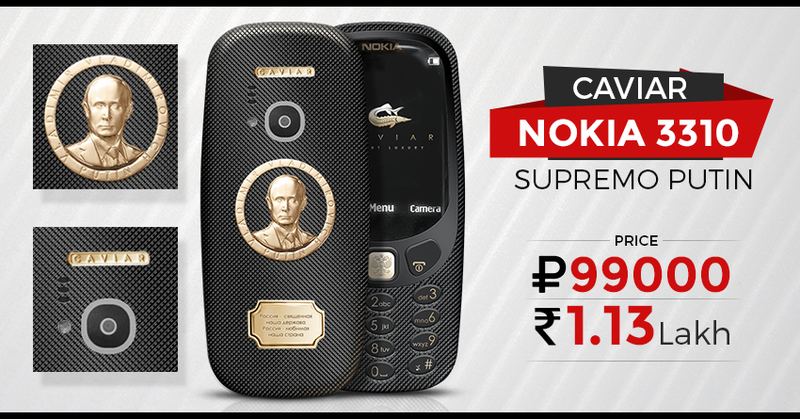 This typical Nokia 3310 Supremo Putin Edition can be ordered via the Caviar website for 99,000 Russian Rubles (approx INR 1.13 lakh). The regular version of Nokia 33100 costs slightly above INR 3500 (approx) and comes in four exciting shades.